BETTER CUSTOMER SERVICE FOR LESS! 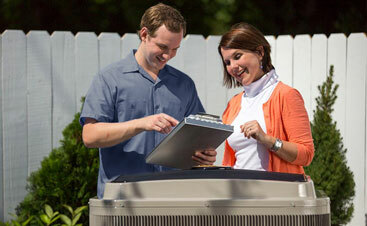 From the time you call and reach a friendly person waiting to help, to the completion of the HVAC services we provided for you, there is a noticeable difference that stands out from other HVAC competitors, and that’s not just lip service. There’s a difference you’ll feel immediately, beginning with our customer-centered approach and continuing with flexible, round-the-clock scheduling for Air conditioners and Heating Systems in Duncan and Lawton, Oklahoma. We’re there when customers need us! 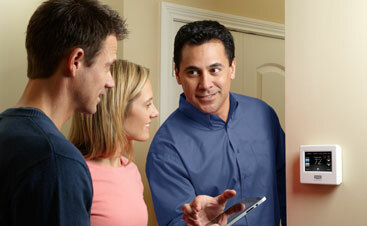 We offer our heating and air conditioning services 24/7 with real people answering the phone no matter when you call. We also have FREE Service Calls and a 100% Money Back Guarantee on all of our HVAC services (During normal business hours. Rules and restrictions may apply). Confident in our expertise, our leading Duncan and Lawton HVAC company stands behind its workmanship, installation processes, and equipment with a number of guarantees and warranties.